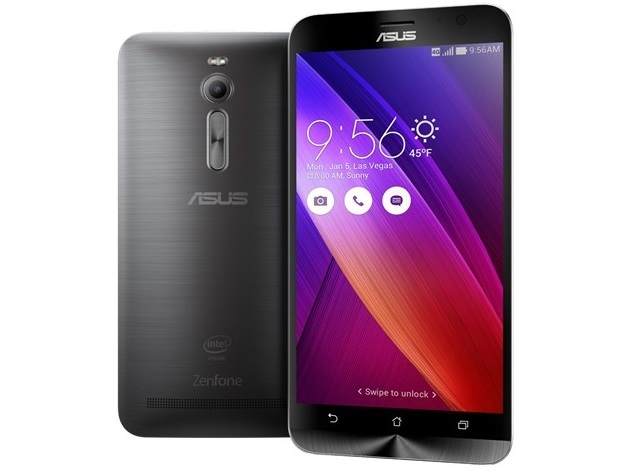 ASUS took the smartphone market by storm when it first announced its smartphone range known as Zenfone. It got huge attraction not only because of its design but because of its sheer performance and aggressive pricing strategy. For ASUS, it paid off really well. Just in the last quarter of 2014, Asus sold 1.5 Million Zenfones per month or 4.5 Million per quarter. That makes 18 Million Zenfones per year. 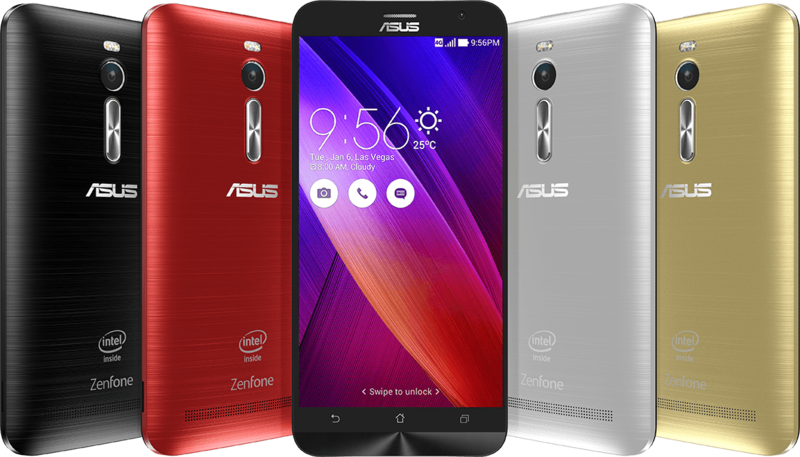 To carry on the success today at CES 2015 Asus announced the two new successor of Zenfone Range, The Zenfone 2 and Zenfone Zoom. Before the CES event started ASUS gave teasers with the slogan saying “See what others can’t see” and finally what we got to see at their event is the new Zenfone 2 and unexpectedly the Zenfone Zoom. While the former one doesn’t seem to add up with the slogan, the later one fits perfectly as it is a camera centric smartphone. First, the Zenfone 2 is the obvious upgrade to the previous ASUS Zenfone. First it has the ergonomically design with ultra slim edges just like the Moto X making it look slim at 3.9 mm. The bezels measures only 3.3mm which gives the phone a 72% screen to body ratio. So for a 5.5 inch device you could still expect the phone to be a really compact one. Asus also followed another design strategy of LG by adding the volume button in the rear while the power button key is above. The added surprise for smartphone is the RAM. This is the first consumer focused device which will have a 4GB RAM variant. With these specs ASUS promises a Zero-lag touch input experience which means there will be no lag whatever command you provide via touch input. According to ASUS the processor this time is 3.1 times powerful than most of the quad core out there (Although no specific processor was mentioned), they also said the GPU is 8.1 times more powerful than before and comes with OpenGL support. As for the camera, ASUS promises it’s new PixelMaster technology helps you to see what you can’t see normally which means in the low light. That’s where the “see what others can’t see” tagline comes in. With the PixelMasters new Pixel merging technology the camera can take 400 brighter images in low light conditions. They have also improved the HDR mode as well added a fully manual mode to give full control over the ISO, exposure and other settings. As for the user Interface the Zenfone 2 comes with a new ZenUI which is according to ASUS more simple and smarter. 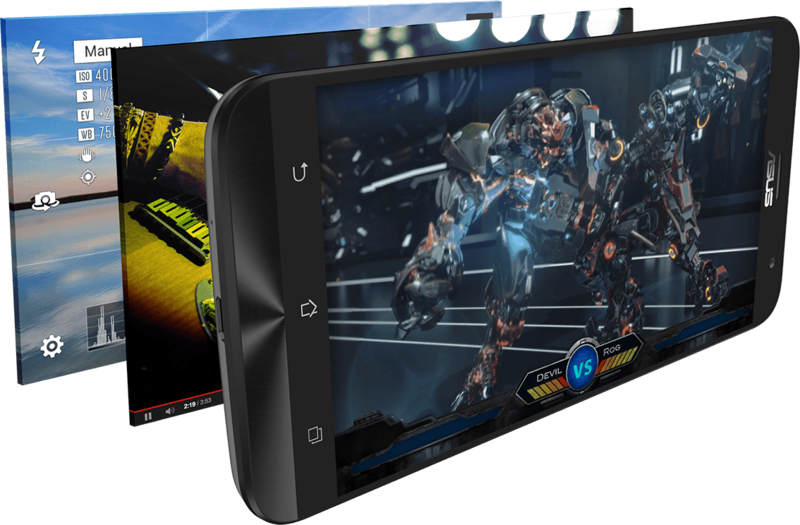 ASUS also added a new feature called ZenMotion which enables you to use gestures on screen to launch app. Another feature is the Snapview mode which enables to separate work and personal accounts. So users can have secure storage for files, images and apps. They have their own security system to help users protect their files. The Zenfone 2 starts at $199 for the initial 2GB/16GB version and will be available from March. 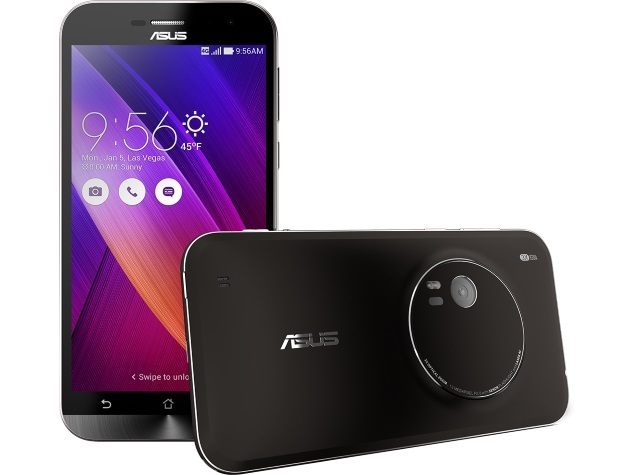 Now for the ASUS Zenfone Zoom. It is all about THE Camera. The camera positioning and design will remind you about the Lumia 1020. Although it does have similar looks the camera is mainly a 13MP F/2.7 to 4.8 aperture Snapper. But instead of 5 element lens like in the Zenfone 2 this one has a 10 elements lens promising 3x Optical Zoom as well as 12x Digital Zoom. There is a manual mode as well which promises professional grade manual control. It also comes Optical Image stabilization and also the LG style Laser autofocus. The rest of the specification will be similar to Zenfone 2 although the overall weight will be a tag higher at 185gram. If you are interested to buy the device you will have to spend around at least $399 with storage option upto 128GB.